Some dog owners really worry about travelling with their pet. Their dog might not enjoy being in the back of a car for a long journey and they could very easily become bored and restless. 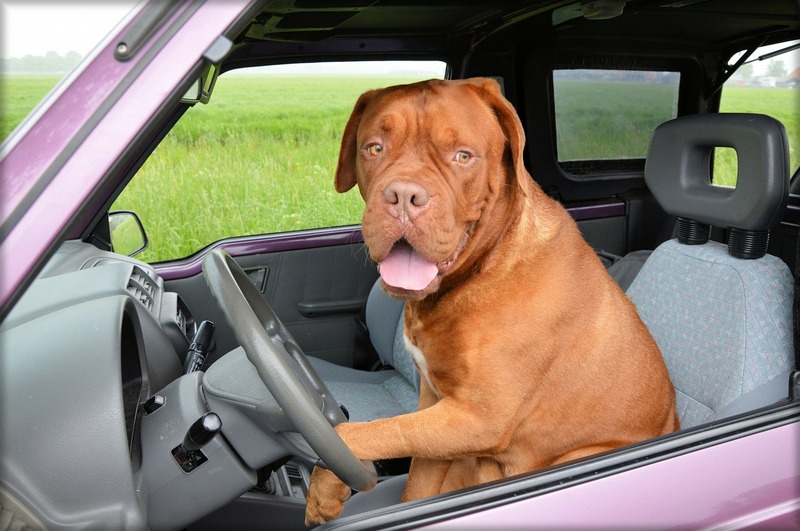 If the dog does become sick of being in the car, they could try moving around and might even start barking, which isn’t what a driver needs when they are trying to concentrate on the road ahead! Not only that, though, but there’s also the possibility of your dog ending up carsick. Travelling with your dog doesn’t always have to be something that you end up dreading. Here are some great tips that won’t make it so “ruff”! Your first step should be to take a test drive. This is essential if your car has never been on a long journey before. If you take them out for a quick ride, you can see whether they are likely to get carsick. You’ll then know if you need to get any medication for them from the best before you head out on the big journey. This should also give you an idea of how long it takes your dog to get bored, so you can plan some breaks around this. Make sure that your dog is correctly secured in the car. If they are only small, you will be able to buy a harness that attaches onto the seatbelts in the back seats.These harnesses will prevent them from moving around while the car is in motion. You can buy cages that go in the trunk of the car for large dogs. One way to ensure your dog stays happy throughout the whole of the journey is to take plenty of dog treats with you. You can then give them something tasty every so often to help keep their spirits up. Make sure you take some water and a bowl with you as well. Then whenever you take a break, you can make sure your dog gets some fluids in them so that they don’t suffer from dehydration. Your dog might not be able to hold their bladder for as long as you can, so make sure that you plan in plenty of toilet breaks. One of the benefits of stopping when your dog needs to pee is that you won’t need to wait for a service station. You can simply pull over at the side of the road if it is safe to do so, and take them out for a quick wander so that they can do their business. Just remember to take some bags with you in case they do a number two. You’ll need to pick it up and put it in the bin. 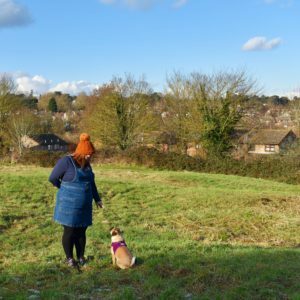 As long as you follow all the tips above, you should find that travelling with your pooch isn’t too much of a struggle. In fact, you might even come to enjoy it!